The full drum sheet music for “Let’s Stay Together” by Al Green from the album Let’s Stay Together (1972). In classic Al Jackson Jr. style, Jackson plays a laid-back drum track that carries this sentimental ’70s love song. 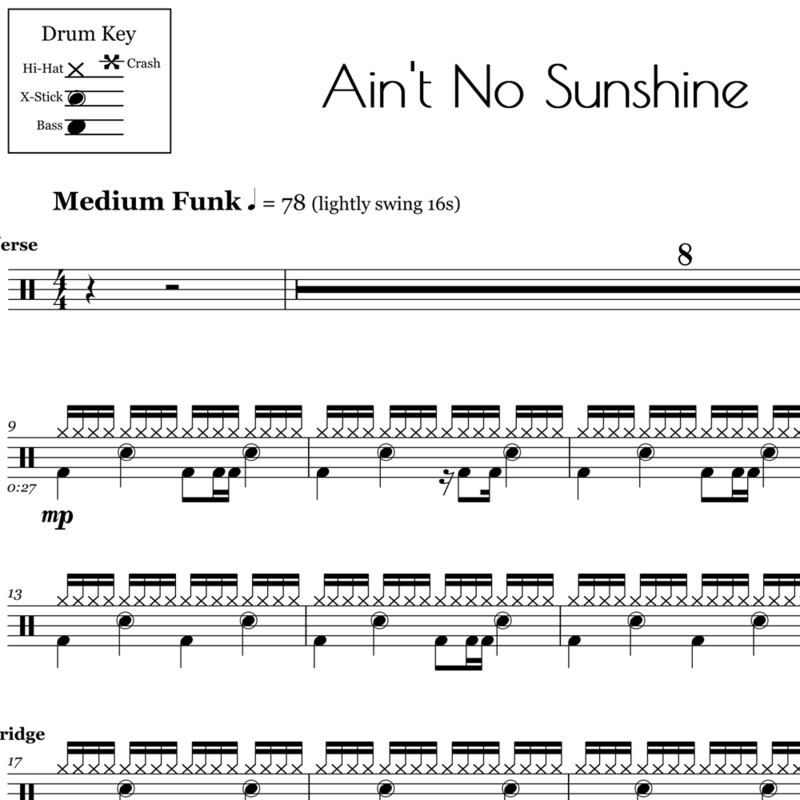 The four-bar intro includes a funky groove with rim knocks and syncopated back-beats between the tom and snare during the 2nd and 4th bars. This is a great piece for beginner drummers to practice. The grooves are playable, but getting the feel just right may take some time. 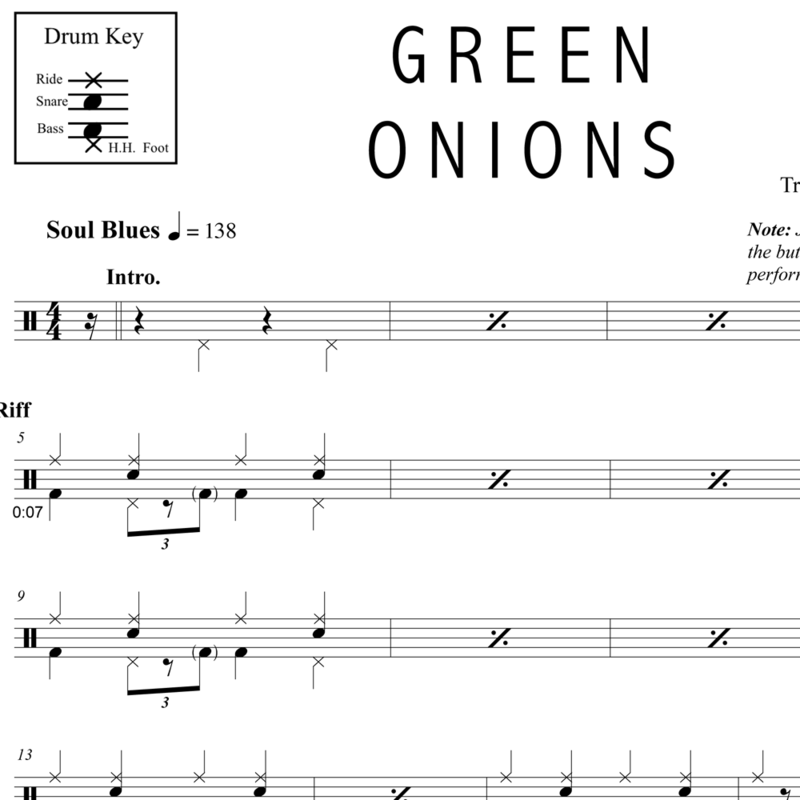 The full drum sheet music for "Green Onions" by Booker T. & The M.G.s from the album Green Onions (1962).